Last week, the Washington Secretary of State’s office hosted the annual State Testing and Certification of Voting Systems Conference at the Seattle Public Library. It’s become a yearly opportunity for the folks involved in the nuts and bolts (literal and figurative) of voting systems work at the state and local level to come together and share notes and best practices on what’s now – and what’s next. I know it's a cliche to say that states are the laboratories of democracy. And yet I’m struck by it each time I’m at a conference with representatives from multiple states. There are great ideas out there, states that are being innovative and that have put a lot of thought into solving a given problem. The term “laboratories of democracy” particularly fits the bill with my area of interest—elections administration. We’re literally dealing with the mechanics of democracy. Last week I was at the State Testing and Certification of Voting Systems Conference in Seattle. This group is into the nitty gritty of elections administration. They’re the ones testing the nation’s voting machines to make sure they’re working as they should. + Voting culture in each state is unique, but in some ways one size does fit all. Every jurisdiction from the smallest municipality in Wisconsin to L.A. County’s 4.7 million registered voters has to manage voter lists; store equipment and paper; conduct pre-election testing and post-election ballot reconciliation; and, most important, provide eligible citizens the opportunity to vote! Jurisdictions can learn from each other and there are a few key things—highlighted by the Presidential Commission on Election Administration’s report—that everyone could do to improve election administration. + It’s important to engage all the stakeholders in the process of looking at new voting equipment. Legislators have a role since they set the vision for voting in the state and may hold the purse strings. Yet local election officials bring the on-the-ground experience, and voting and security advocates bring an important perspective. + South Carolina recently held a voting system fair so that local election officials could see first-hand the machines that vendors have available for replacing the state’s aging equipment. This experiment might be worth replicating in other states. + Oregon is implementing its new system for automatically registering voters using data from the DMV. Oregonians recommend involving IT people early in the planning process for any similar large-scale change. They can make important contributions all the way from drafting legislation to the implementation phase. I’m looking forward to the Policy and Elections Technology: A Legislative Perspective Conference in Santa Fe June 3-5, as well as Legislative Summit in Seattle Aug. 3-6 to hear more great tips from the laboratories of democracy! NCSL in general and the elections team in particular – including Katy and led by Wendy Underhill – is a huge resource for the field. Next week’s Santa Fe meeting will be a terrific opportunity for legislators and staff to interact with election administrators and election geeks and identify the best ways to proceed in the ever-changing world of voting technology and election administration. Thanks to Katy for permission to re-blog this and kudos to the entire NCSL team on your continued efforts in the field of elections! Is Political Science Blowing Its Close-Up? 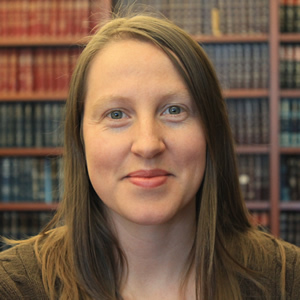 Be the first to comment on "NCSL’s Katy Owens Hubler on Seattle Testing and Certification Meeting"